The Queen Helene Mint Julep Masque is a great and affordable at-home mask you can use to help dry up acne/pimples, shrink pores, and draw dirt/impurities/blackheads from your skin. It's fairly simple to use: just clean your skin with your usual face cleanser, pat dry, then apply a thin layer all over your face and wait for it to dry (15-20 minutes). Then just wash it off thoroughly with warm water and continue with your usual skincare regimen (serum, lotion, eye cream, etc). It also works well for spot treating inflamed acne spots if you leave it on the problem spot overnight and wash it off in the morning. - leftover product gets stuck in the tube so you have to cut the tube open to scrape out leftover product. You can avoid this by buying the 12 oz jar ($7.23). - takes a lot of rinses to completely rinse off the mask (I find the best way to remove the mask is with warm water and a soft silicone facial cleansing pad - see photo below). You may also opt to apply it before you shower so you can wash it off in the shower as opposed to making a mess over the sink. Sidenote: I've tried other masks such as the Aztec Secrets Indian Clay Healing Mask ($7.79 for 1 pound! ), which I felt worked well but it was not only a bit more harsh, but kind of a pain to mix up as it comes in a powder and you have to mix it yourself (suggested as working best mixed in a wooden/clay/glass container with apple cider vinegar -- a bit more time consuming). Anyway, I'll save my review of that mask for another post. I've also tried the Origins Charcoal Mask (barely does anything + expensive) and the Boscia Black Mask (barely does anything + very very expensive). Yup. 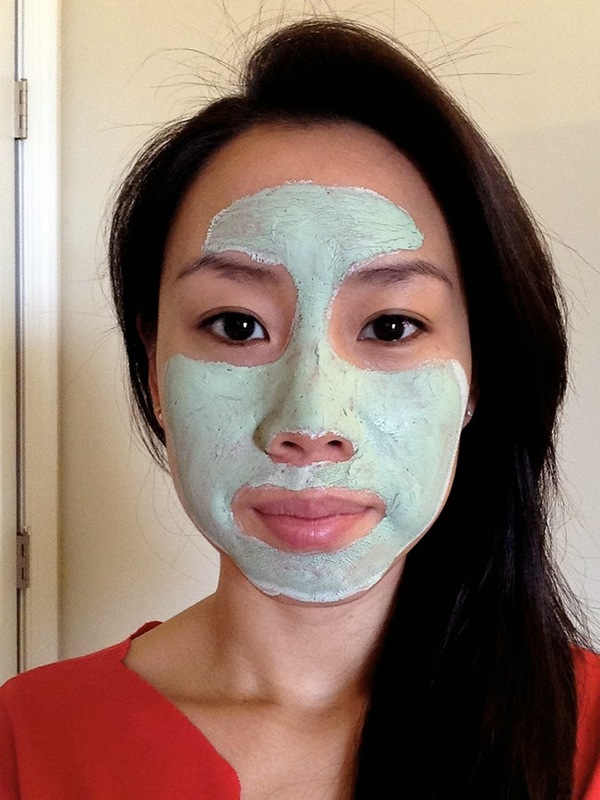 The Queen Helene Mint Julep Masque is the clear winner in my book. Overall, I feel this Mint Julep Masque is the best bang for your buck! My biggest skin issues are enlarged pores and redness -- and this mask does a great job battling both those problems. I don't have many issues with blackheads, so I can't really say how well it works for removing blackheads. I've also used it for spot treatment before and it definitely helps reduce the inflammation with those painful acne spots. The cleansing pad I use (+ warm water) to help remove the mask more easily. What are your experiences and thoughts regarding this mask?